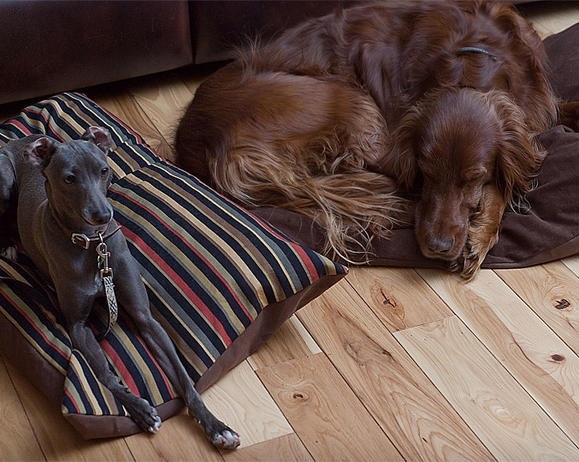 Sew a waterproof dog bed that can be covered in fabric to match your home's decor. This dog bed pattern will help you make a dog bed that can be easily maintained and cleaned. This pattern requires inexpensive pillows that are placed in a shower curtain that is cut to fit the pillow then sewn together. The waterproof pillow is then placed into a sham that can be removed and placed in the washing machine when needed. Give your pet a warm and cozy place to curl up and relax with a clean and comfy dog bed.